Chemionix is a Mumbai based engineering process outsourcing organization whose team consists of very experienced, trained and skillful engineers. The days of 2D imaging have disappeared. The world now wants, understands and approves three dimensional figures. This has certain reasons too. 2D images or models often fail to transmit the entire concept and theory behind the model, hence the need of an extra dimension. Chemionix e-Solutions Pvt. Ltd and its solidworks modeling services excel in 3D modeling and drafting services. It also provides with whole lot of technical and drafting services at much lesser cost. Chemionix has global experience working in various international locations such as Australia, USA, UK and India. 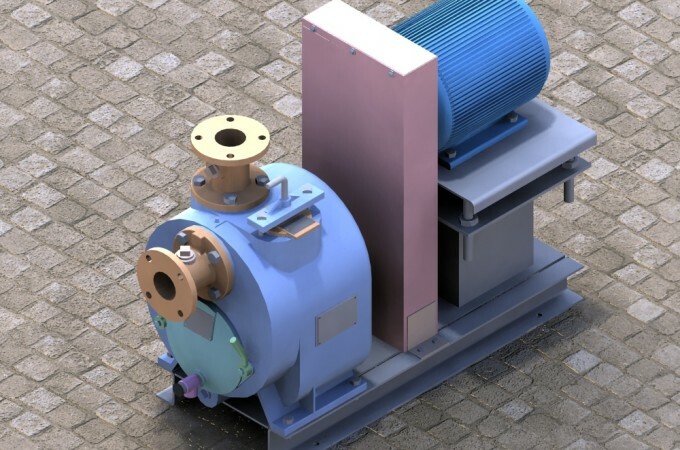 Chemionix offers you a unique range of 3D solidworks modeling services that include the use of parametric, feature based approach in order to build a 3D model. The unique solidworks services offered here allows you to access various file formats such as slddwg, sldasm, slddrw, easm, eprt, prt, sldasm, etc. They start their work by designing 2D or 3D models. The sketch which they create contains geometric items such as conics, lines and arcs. To give more meaning to the sketch, then dimension are further added and the sketch gets its meaning and dimension. People here ate Chemionix specialize in manufacturing and producing drawings, bills of materials, parts list, and transformation of paper sketches into precision, assembly drawings and mechanical CAD. Your navigation, revising and accurate part and assemble modeling is made easy since you are provided with good quality feature trees and design tables. Designs that are supplied are always of the highest quality and up to the mark with the standards and specifications as suggested by the customer. Quality, standard and definition are never compromised with. More over their team has enormous amount of experience in business transformation, engineering outsourcing and consultancy. If you are thinking of high prices then you are wrong as Chemionix believe in cost effective technical and drafting solutions. They also have a mission which is create goodwill amongst people and build relationships through their services and also with help of the latest technologies. They believe their work is dedicated to the prosperity of their customers. Professional, reliable and cost efficient range of engineering and drafting services with such precision and satisfaction is only available at Chemionix. The employees here are very friendly and they work like your own staff as well. . You are often given what you are promised. By outsourcing from here one can avoid capital expenditures and reduce project cost to almost half of its initial. Moreover operational and overhead costs are reduced and one can stay competitive with the world market too. Your growth and globalization is also taken care of by the use of the best and the latest technologies available. If you are planning to outsource 3D modeling solidworks then Chemionix e-Solutions Pvt. Ltd is the one stop destination for you.